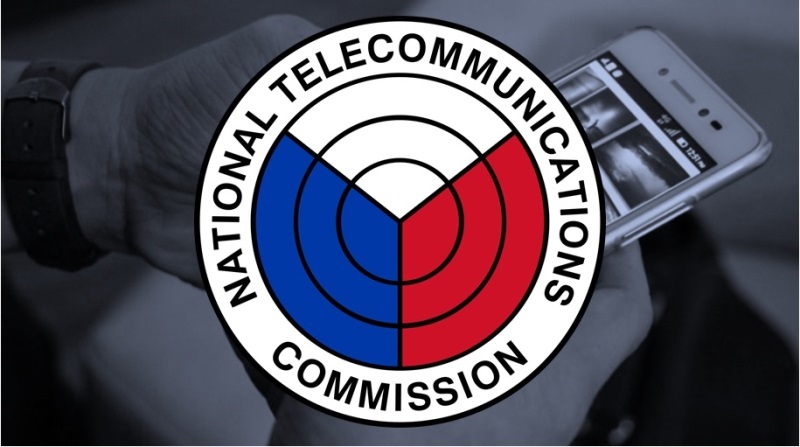 National Telecommunications Commission (NTC) has issued a Memorandum Circular, ordering telco companies to cut their interconnection charges for Short Messages Services (SMS) and Voice Service. To begin with, interconnection enables consumers to send SMS and call someone who is a subscriber of another telco player. 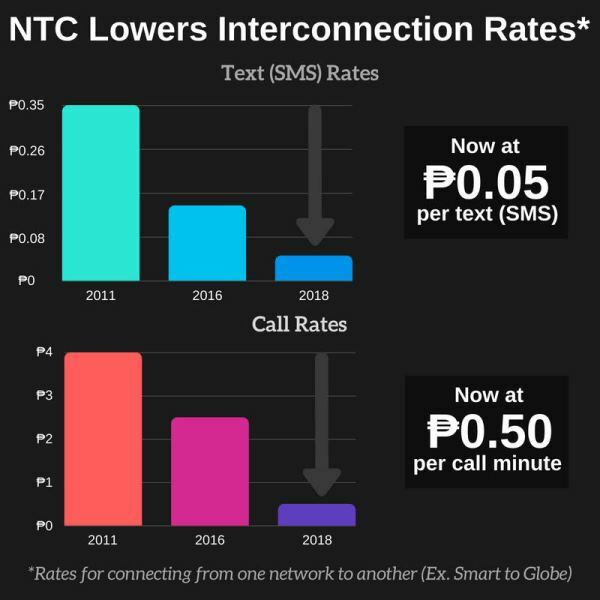 Through NTC's Memorandum Circular, call charges were reduced from Php2.50 to just Php0.50 per minute, while text messaging rate was cut from Php0.15 to only Php0.05 per SMS. Before coming up with this decision, NTC has studied and formulated the guidelines that will bring down the cost of interconnection. The Memorandum Circular was issued last July 19. 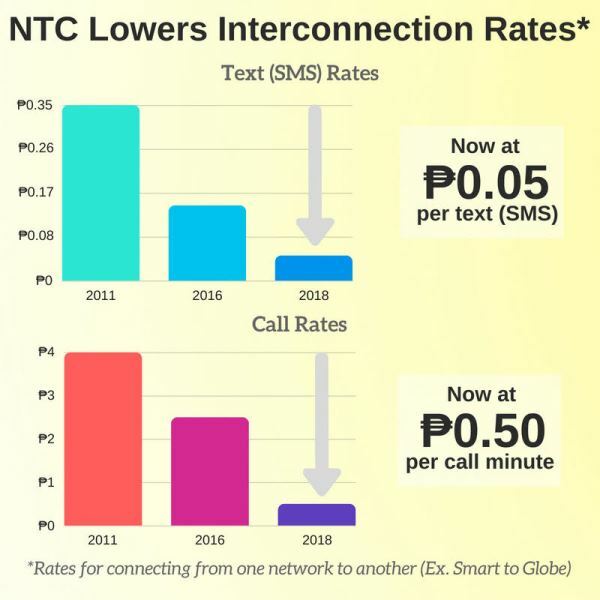 Telco providers are given only 10 to 20 days to comply on the new interconnection rates issued by NTC. This reflects to the goal of the administration to make communications more affordable to the public.